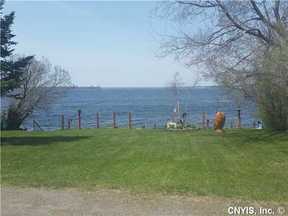 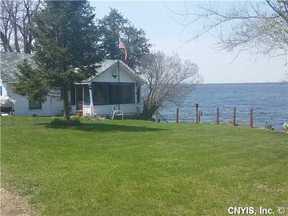 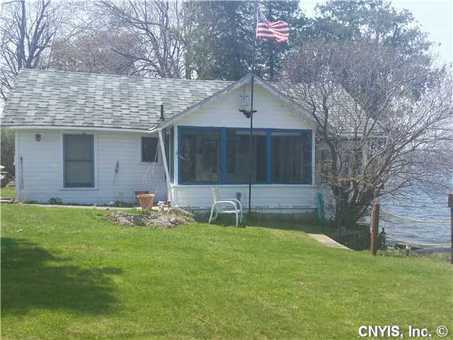 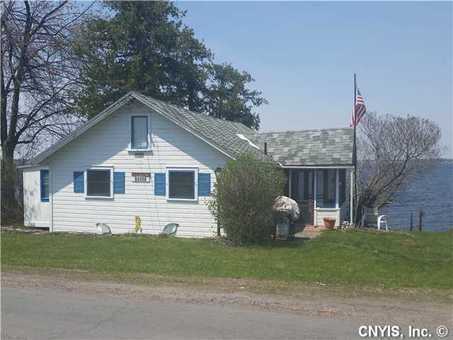 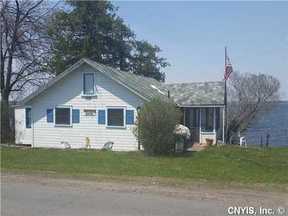 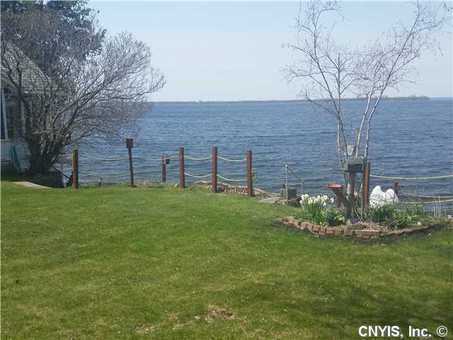 Single Family Home Breathtaking views of Lake Ontario can be yours! Enjoy beautiful Sunsets over Guffins Bay, water sports and family parties. 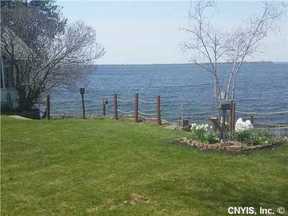 Relax until your hearts content on 100 feet of waterfront. 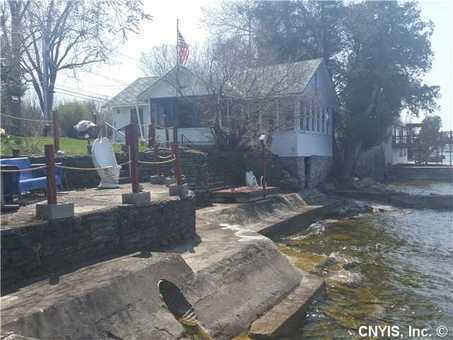 Concrete break wall with multiple levels of patios for enjoying the water and views. All wood interior with cathedral ceiling, 2/3 bedrooms, bath/shower, large living room, dock and basement boathouse as well as a large double lot. A rare find...don't miss your chance to begin the summer season in your own paradise. Call for your personal viewing.